This raw traditional easy spaghetti sauce recipe comes together in just 15 minutes and is packed full of flavor. 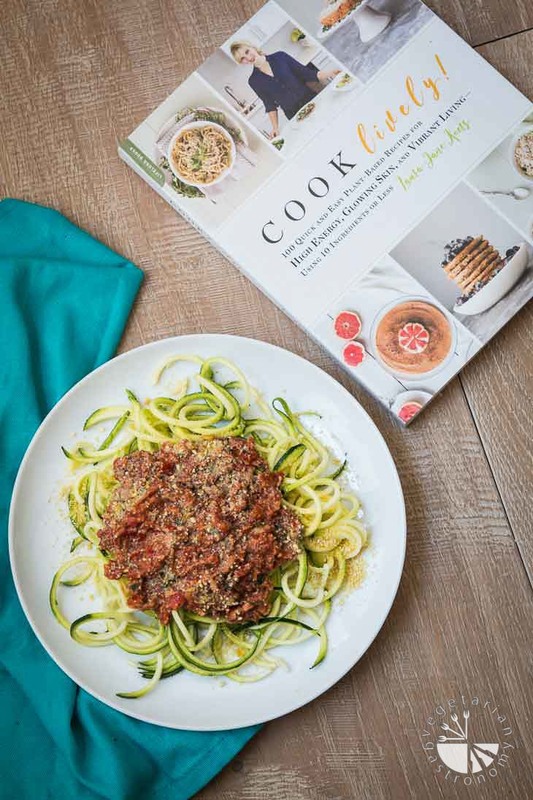 Serve it over your favorite cooked pasta or some zoodles for the perfect healthy family meal! 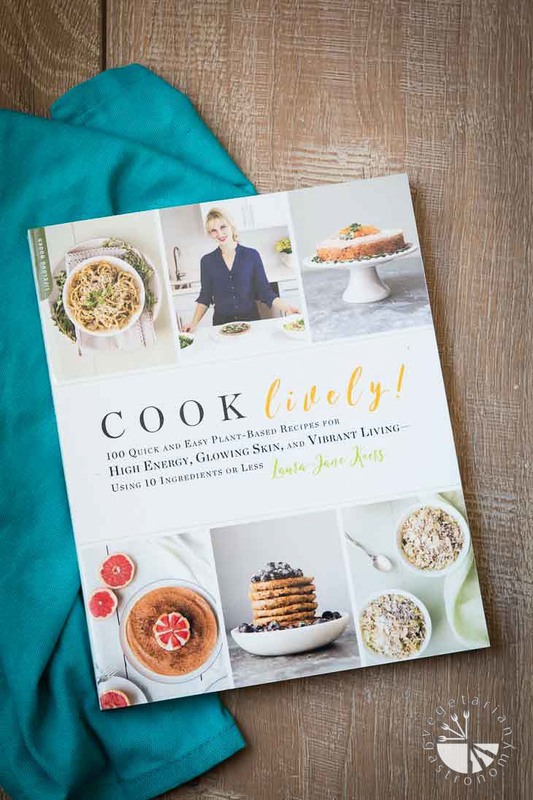 I’m excited to be reviewing Laura-Jane’s new cookbook, Cook Lively! : 100 Quick and Easy Plant-Based Recipes for High Energy, Glowing Skin, and Vibrant Living—Using 10 Ingredients or Less. 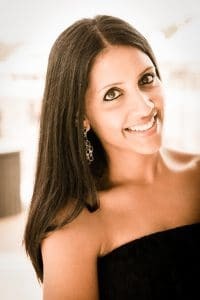 She’s the blogger behind The Rawtarian, where she creates simple, yet satisfying raw food recipes. Her new cookbook is bright, colorful, and full of 100 quick and easy plant-based recipes for high energy, glowing skin, and vibrant living. All her recipes are gluten-free, vegan, and mostly raw. I was drawn in by the fact that each of the recipes use 10 or less easy-to-find ingredients. Laura-Jane has also done a great job stripping down the ingredients and cooking method for each recipe, making them easy to follow, clean, and simple, and still full of flavor! I’m excited to be sharing her recipe for Traditional Spaghetti & Sauce, and I’m also GIVING AWAY a copy of the cookbook to one lucky reader, check for details after the recipe. I’m going to be honest and say that I’ve never thought of myself as a raw food person. And although I’ve always loved following The Rawtarian, and can appreciated food in it’s raw form, when it comes to making meals, I typically like my food cooked. However, when I first scanned through the Cook Lively cookbook, I was blown away! Her cookbook is beautiful, and there were so many recipes I couldn’t wait to try. Laura-Jane’s cookbook is organized well and easy to follow. The chapters naturally take you through the day, starting with First Sip Of The Day , Morning Eats, Salads & Soups, and ending with Appetizers & Sides, Five O’Clock Rush, Desserts After Dark, and Midnight Snacks. Her Simple Staples section is full of sauces, nut-milks, cheeses, and condiments. She also has a few guides, first step tools, and meal plans to help you along the way. Next on my list to try from the cookbook is her Creamy Citrus Juice, Cauliflower Toast, Yellow Curry Salad, White Bean Cakes, Banana Cream Pie, and Famous Raw Brownies! With all the gorgeous tomatoes growing in our yard the past few months, my eyes were set on the Traditional Spaghetti & Sauce with Cashew Parmesan. 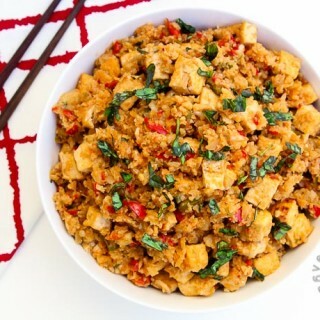 It took me all of about 15 minutes to make this delicious healthy meal! My entire family (including kids) loved it so much that it’s become a regular meal in my house. The kids enjoyed this sauce over some cooked quinoa pasta, and I loved it over raw, spiralized zucchini. When it’s something so easy to make, requires NO COOKING, and is enjoyed by the entire family, it’s a win in my book! For a chance to win your very own FREE copy of Cook Lively, enter the GIVEAWAY at the end of this post. If you can’t wait to get your hands on it (and I don’t blame you), you can purchase it here. 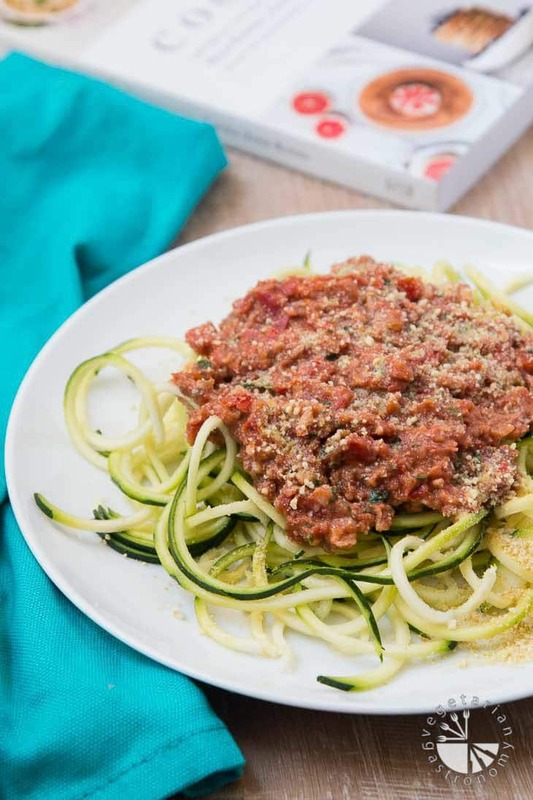 Until then, try out this raw easy spaghetti sauce recipe from Laura-Jane’s cookbook! Peel the zucchinis. Turn the zucchini into noodles by using a spiralizer or a vegetable peeler. Set aside. To make the optional Parmesan, process all the ingredients into small crumbles (20 seconds). Set aside. To make the marinara sauce, place all the sauce ingredients in your food processor. Pulse briefly (10 to 15 seconds). Do not over-process. To assemble, dry off the zucchini noodles if they have released any water. In a large bowl, combine the noodles and sauce. Using tongs or 2 forks, toss gently until the sauce is well distributed over the noodles. Enjoy immediately. Garnish with Parmesan, if desired. When making the marinara, do chop the garlic clove before processing. This ensures that the garlic gets incorporated without having to over-process the mixture. The sauce keeps well in the fridge for up to 3 days. If your dish is starting to look a little watery, add a sprinkling of Easy Cashew Parmesan to absorb excess moisture (and add favor!). I added a few leaves of fresh basil into the food processor along with the rest of the ingredients for some added flavor and herbs. Otherwise I followed the recipe exactly! Open to US residents, must be 18 years or older to enter. The winner will be notified via email and announced in this post and in the comments of this post. The giveaway starts NOW and ends midnight September 5th, 2017, Eastern time. Good Luck! Thank you!! You should definitely try this...very easy and only 15 minutes! What a beautiful book, I love the whole concept of eating raw! 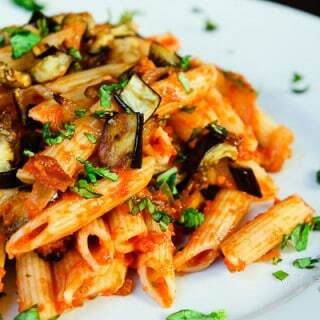 I love that your served this over zucchini noodles, it looks so yum! Thank you! I loved the flavor of the two combined...Thought it would be too much raw, but it was awesome! I've never had a raw spaghetti sauce before. It looks really good, and I imagine using homegrown tomatoes from your own garden really puts it over the top! It really did put it over the top...no better way to use homegrown tomatoes then raw! This sauce is delicious! thanks! yes it's the perfect recipe when I have wayyy too many tomatoes from the garden! i haven't made any "raw" recipes so i don't have a favorite and i would like win the cookbook so i could experiment with some. This is such a great recipe. Sounds like an awesome and healthy living book.Your pictures are gorgeous and so inviting! Wow, I love that this is completely raw. So healthy! And I bet it tastes really fresh and delicious. Perfect for making on hot days! Me too...especially for the summer, but I'm pretty sure I'll be making this year around. Thanks Melanie! It is so important to have a go-to fantastic homemade sauce! I love homemade sauce. I can't wait to try this one. Looks like my kiddos will enjoy this one. Yes your kids will love it! Mine enjoyed it over some quinoa pasta. It's a great way to get walnuts into them as well. Congrats to Corrine G. for winning the giveaway! Thanks to everyone who entered!